There’s a strong possibility that I’m late to the party because I’m old(ish) and busy – I’m not great at keeping up with new technology. But I have discovered THE BEST thing which I promise your kids are going to LOVE – and it only costs £1. A VR set. Hold up – What’s a VR set? 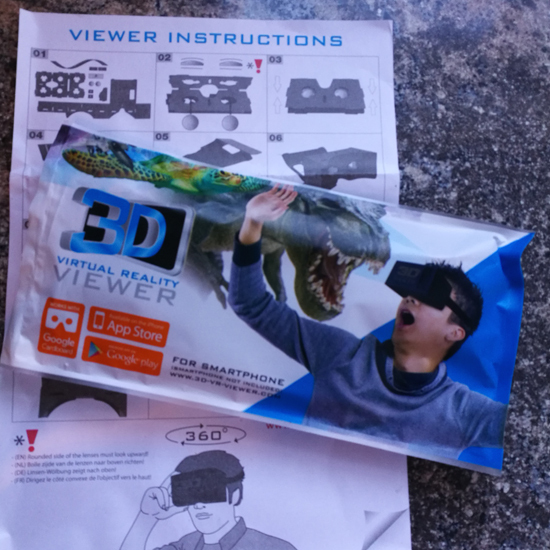 So VR stands for Virtual Reality – so 3D. It’s a lot like when you put glasses on in the cinema to watch it in 3D – but with VR, you can move around. So see things above you, behind you etc. 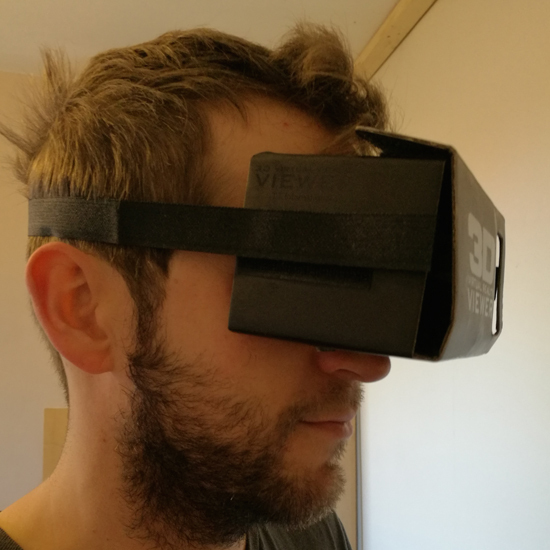 Well… you can now get that in your house for £1 – because Poundland have VR goggles in-store. Honestly – it’s SO good for a quid. You don’t need fancy kit – just the googles which you fix together. There’s a secure section to put your phone in, so you watch it through the lenses in the kit to get the 3D effect. You can then just download FREE apps from the app store to watch them with. I had zero expectations for this – but IT’S AMAZING! I searched “VR” in the app store and downloaded a free rollercoaster app and a free dinosaur one – but there are loads available. So my boyfriend put the googles together (took him five minutes of swearing and faffing), then turned the app on and securely slipped my phone into the googles. 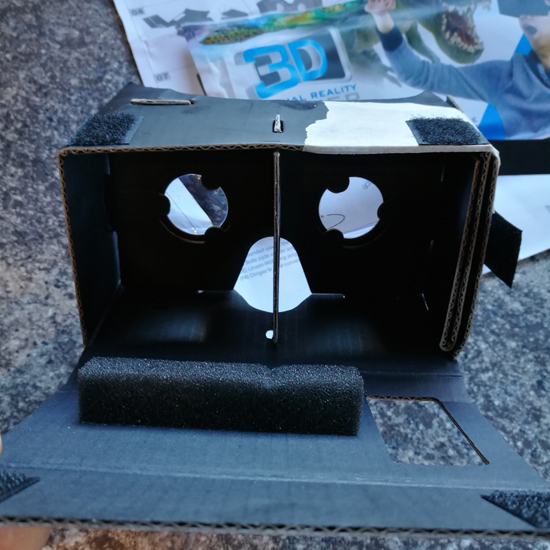 I actually hate heights and rollercoasters but didn’t think it would be an issue because, well – I was in my kitchen with some £1 cardboard googles on – but no – freaked out! It’s really scary! ha. It’s really realistic – well, not the graphics in the game (Call of Duty obviously looks better) – but you do feel like you are on a rollercoaster. I then tried the dinosaur one, where you can walk about encounter all sorts of prehistoric creatures (including a T-Rex) but you need to be careful, because it’s easy to walk into thing as you can’t see the real world around you. Seriously, if you have a smartphone, go to Poundland and pick up a pair for Christmas. I bet your kids ditch their others toys for this 3D experience on Christmas day. the £1 price tag certainly is tempting. Ive seen a few phones advertised that have screen modes specifically designed for these “VR” boxes. it might be a bit naff but for £1 most people will happily have a go.